Exciting Sheraton Suites Contest on Facebook! Hey Tampanians... Jessica here with a one of those Tampa Bay hotel updates, so listen up!! The Sheraton Suites at Tampa Airport Westshore is holding an exciting contest on Facebook and is looking for everyone to join in! 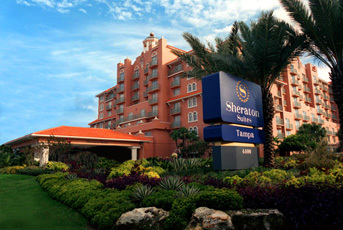 The prize... a complimentary bed & breakfast weekend package at the Sheraton Suites!!! The contest... easy! Here&apos;s how it works: Simply become a fan of the "Sheraton Suites Tampa Airport Westshore" on Facebook and post your Funniest Hotel Story. After that, read the stories and vote for them using the "like this" button. Whoever receives the most votes will win the bed & breakfast weekend! The contest runs now through May 15, so you&apos;ve got plenty of time to recall your funniest hotel memory -- and we know you&apos;ve got at least one! Good luck and enjoy! !